February is the official month of love and at Norwegian Log there is nothing better than getting lovely feedback from our customers about our buildings. “It’s so warm and well insulated, I just think it’s excellent,” said Susan Price of her Norwegian Log granny annex, conveniently sited at the bottom of her daughter’s garden. 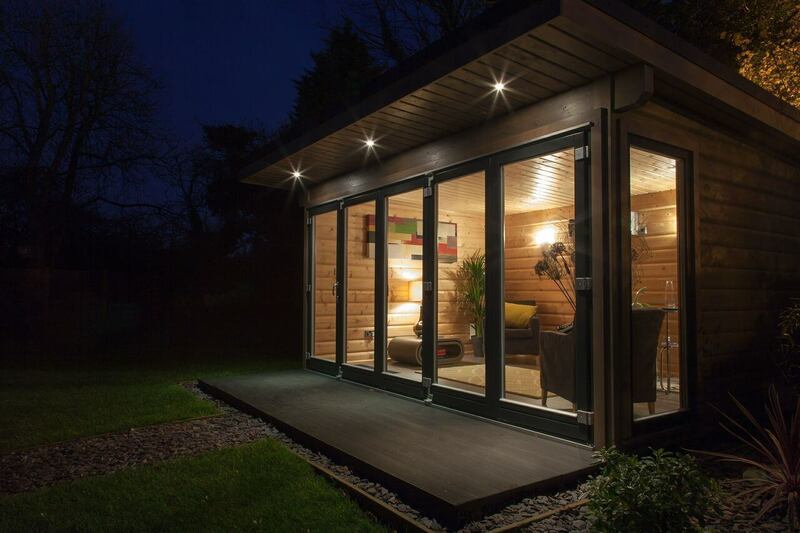 “We love our lodge and we love the lifestyle – we definitely prefer log to bricks and mortar! We were here … when temperatures dropped to -17 °C, and we were really impressed by how warm and cosy we were,” said Jack Moses of his solid log holiday lodge in Cambridgeshire. “Everybody loves it, it blends in so well and is very low key. I’m constantly showing customers around and I’ve had nothing but compliments. In fact, several of my friends have been tearful, they’ve loved it so much,” explained Carol Parker, owner of Wheatley Farm Shop, of her contemporary style solid log home. Swapping their bricks and mortar leased office for a solid log garden office has made sense for Simon and Berny Boyd. “We are no more than 30 paces from the back door and we are already saving on costs such as petrol, rent, rates, phone and electricity. It’s such a nice place to work and so quiet. We’re also positive we’ve increased the value of our house,” Simon said. If you would like to find out how you could love one of our solid log buildings, then please get in touch.